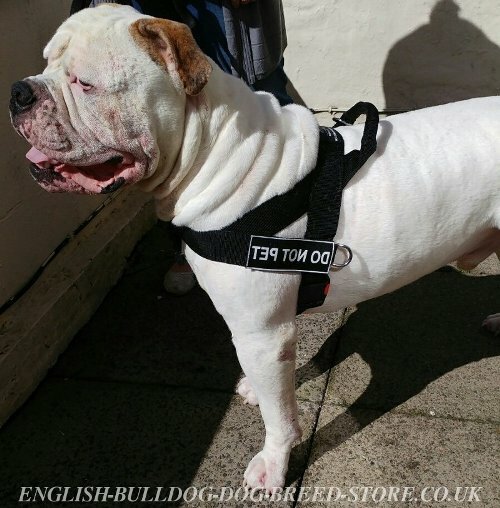 Nylon Dog Harness with ID Patches - Ideal Choice for your American Bulldog! 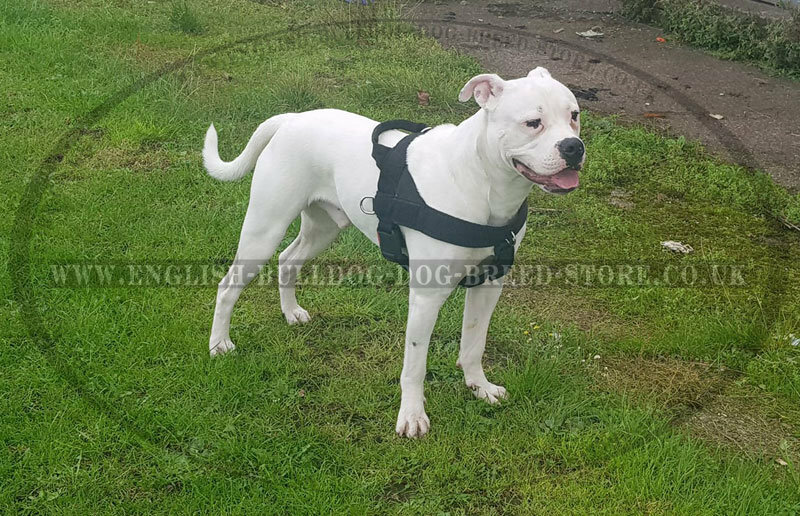 This nylon dog harness is used for any activity with your American Bulldog! 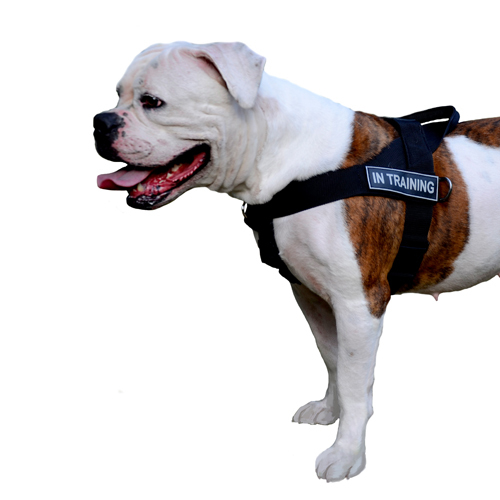 Walking, tracking, weight pulling, training, off-leash training, patrolling, jogging and dog sports! 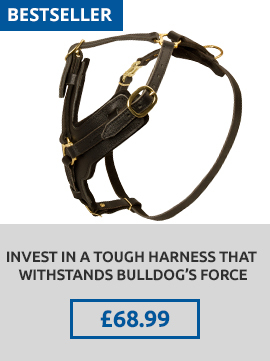 Isn't in wonderful to have such a multi-purpose harness? 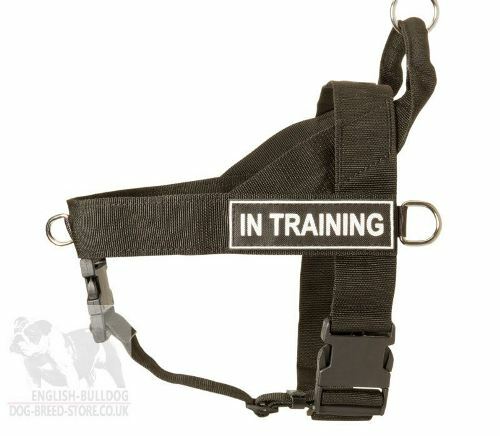 This harness has velcro tapes on the both sides where you can easily stick any ID patch you want. 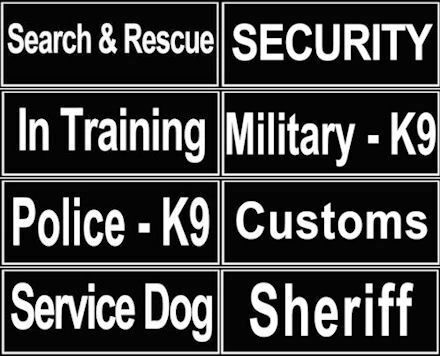 You can choose such patches as "Customs", "Service Dog", "In Training" etc. 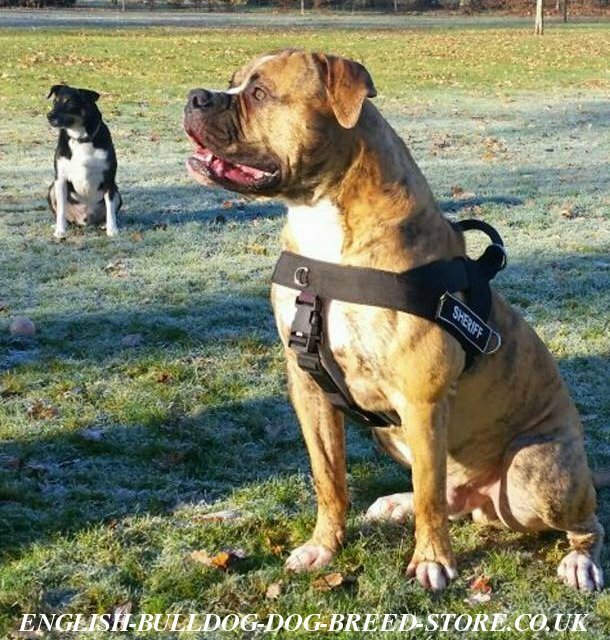 to identify your American Bulldog and let other people know what kind of service your dog are doing. Note, that one patch set included for FREE with each purchase! Don't forget to specify ID patch when placing an order. 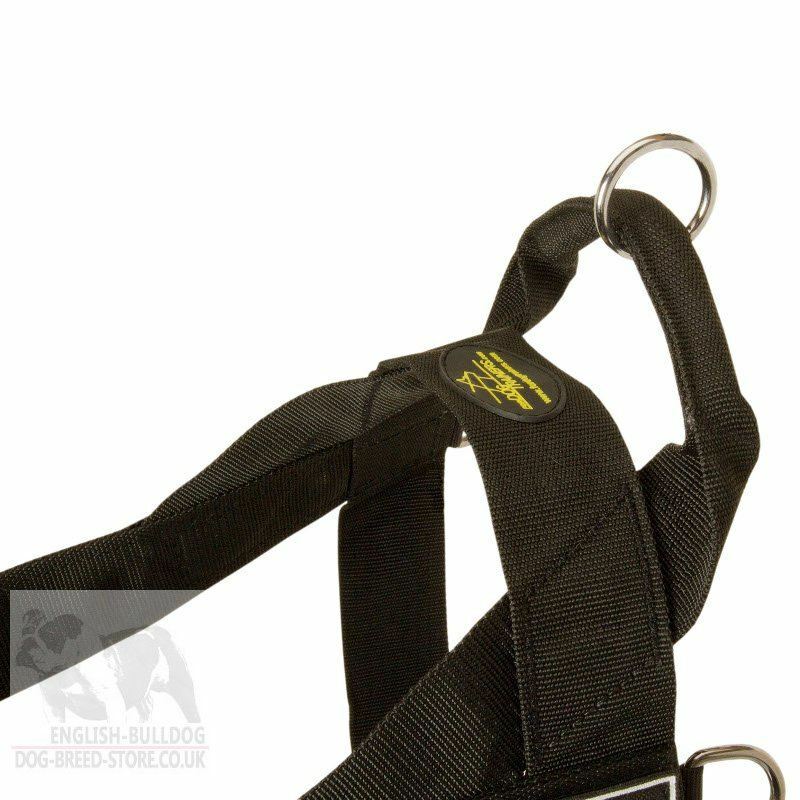 Under Belly Strap Is Easily Unclasped with One Hand! Show Your Bulldog's Profession With the Helping of ID Patches! 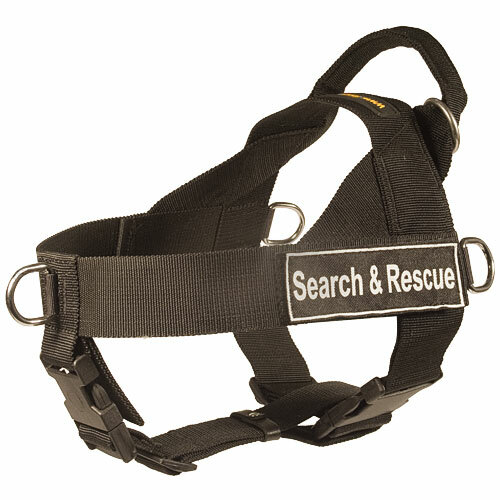 The harness is equipped with two rings an O-ring on the handle and D-ring on the front chest strap. You can fasten the dog lead to O-ring and walk your American Bulldog and you can also solve the problem of dog pulling by fastening the leash to the front D-ring! 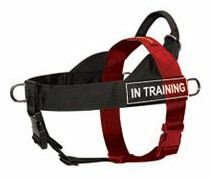 This nylon harness has two extra D-rings situated on the both sides that can be used for exercising your dog in pulling. This nylon harness has quite wide straps (40mm) to ensure the comfort and safety for your dog during tracking, pulling or training. 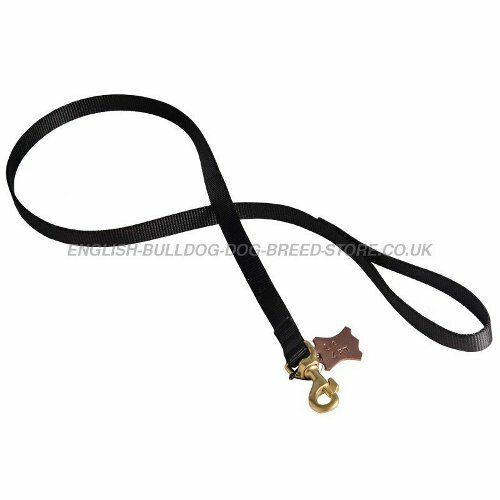 Another feature of this dog harness is special buckles that allows you to take the harness off and on quickly and easily. 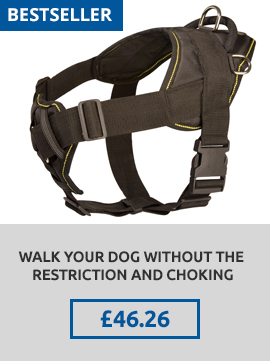 You can remove the bottom strap if you want to give your dog more comfort and space. 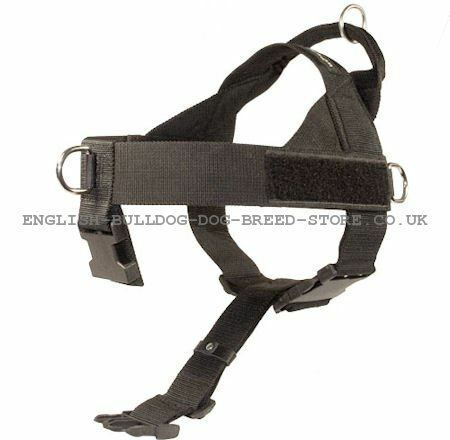 This harness is equipped with control handle on the upper part of the harness. 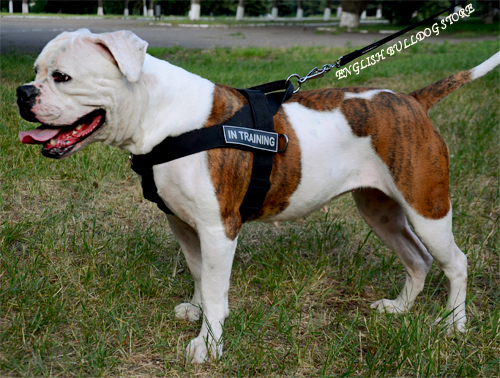 You can use this handle when you need your dog to be right beside you but you don't have the time to attach a leash. The nylon harness is made of best quality nylon that is strong, durable and water-resistant. Nylon isn't natural material however it has some advantages comparing to leather. 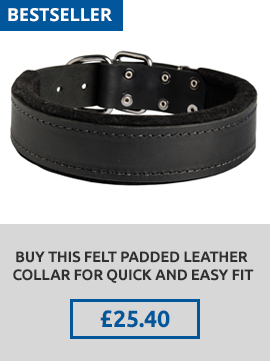 First of all nylon is not so heavy as leather so dog products made of nylon are light weighted. That's why this harness is good option for long tracking or walking since your dog won't suffer from extra load. Secondly nylon is easier to clean and it can be used at any weather even rainy one. Published testimonials are orinial, they come from our clients' letters. 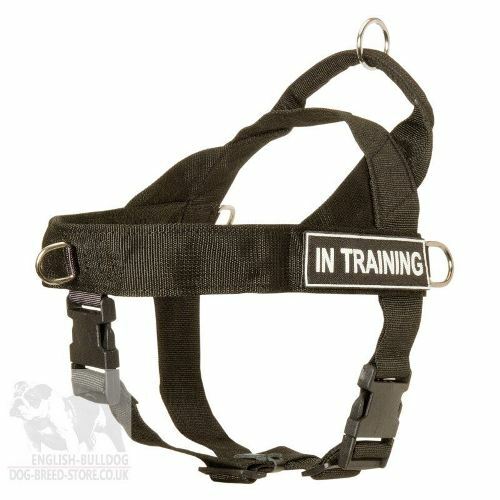 Hi, my order arrived here in Thailand, the quality of the harness is fantastic and the fit is perfect. Your service is second to none, top quality products, very fast service and very helpful staff! 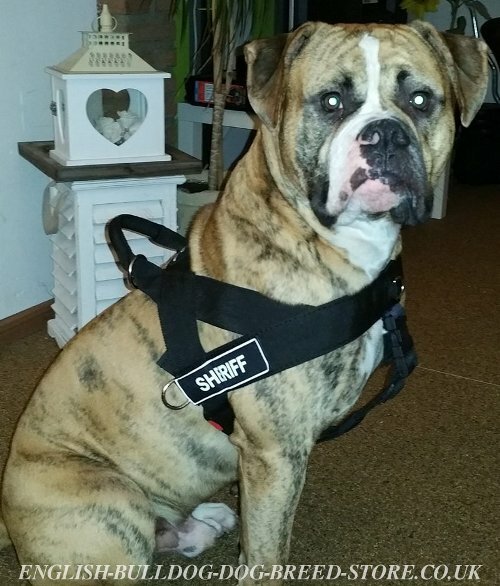 Just to let you know the harness came and fits perfectly. I'm very impressed with the quality and will leave a review shortly. Hi, Julia! Thanks for your reply. My parcel has been shipped today morning! 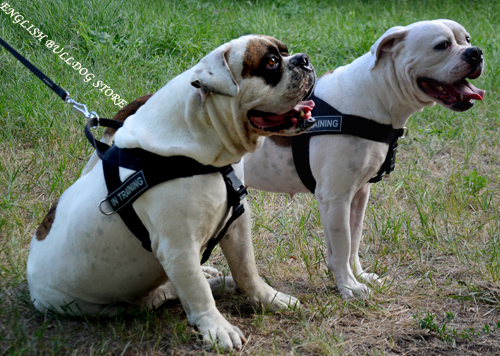 Dogs look really good with their new harnesses. Thank you.